Most people labor under the fallacy that Las Vegas equals liquor and the dice, and has little to offer anyone else. However, you might be surprised at the significant percentage of the tourist influx into the Sin City that comes for clean fun and family outings. Casino resorts packed with dealers furiously managing gamblers intently eyeing the quirks of lady luck alone do not define the landscape of Las Vegas. The city boasts of several hotels that beckon tourists on their Las Vegas vacations to have a superb time with their families. There are several Vegas hotels that may be characterized as family-oriented. 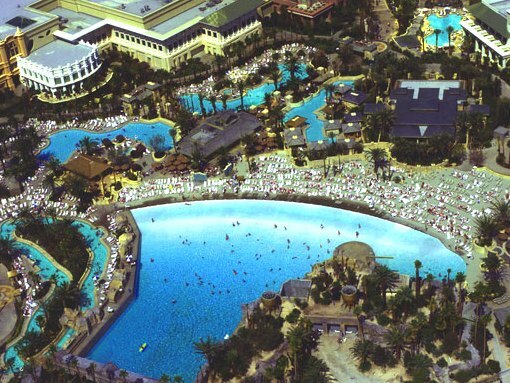 However, the three that particularly draw hordes of visitors regularly are the Mirage, the Monte Carlo, and the MGM Grand. Let’s briefly mention the essential attraction and delight of each of these three homes away from home. 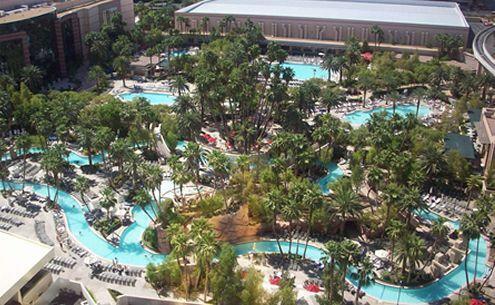 The complex at the MGM Grand in Las Vegas is an enchanting mix of abundant foliage, pretty flowers, an island linked by bridges, five swimming pools, three whirlpools, and a river. You can rent a raft for surfing the river for a nominal sum. There are three swimming pools, a whirlpool and a children’s pool in the Monte Carlo. Though not as huge as the pool at the MGM Grand, the Monte Carlo is a pool that would excite the kids on their Las Vegas vacations no end. The pool at the Mirage is interesting in that it is actually a chain of pools interlinked together by means of bridges. The pool is conveniently located a brief walk away from the elevators. A practical tip on Las Vegas tourism from an old hat at the Las Vegas pools ought to wind this up well. For one, while you are ordering a drink, either specify its size, or ask for a small size. The waiters are perhaps schooled to get a guest the largest size of whichever drink they ask for.